Daniel & Dora married on a splendid winter afternoon at St Thomas Catholic Church in Brighton le Sands. This was followed by the reception at the glamorous Dolton House in Sylvania Waters. Dora wore a beautiful Steven Khalil wedding gown which converted into a different look after church by removing the bolero. It was French lace and was everything Dora wanted it to be. 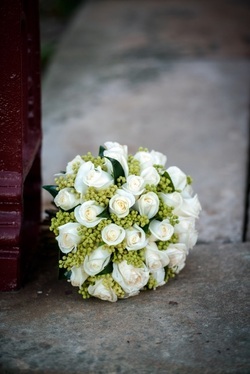 The Bridal Bouquet from Clara's Flower Studio consisted of natural stemmed white roses with French lace finishes. 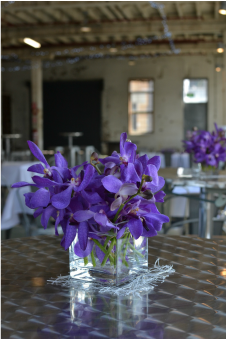 The flower theme was white Singapore Orchids and glass hanging ball votive. Photography was done by Allan Khan, the cake was from The Cake Studio at Ramsgate and the couple celebrated their honeymoon in Europe. 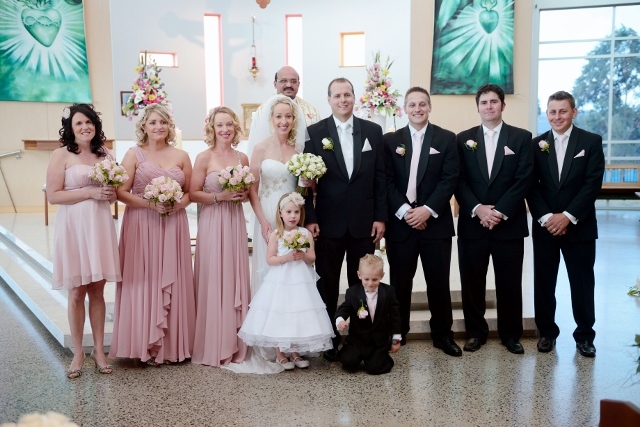 Phillip and Kate married in spring at the Santa Sabina College Chapel in Strathfield and was then followed by the reception at Angelo’s on the Bay at Cabarita. Kate wore a beautiful wedding gown designed by Joseph Sayadi from Park Avenue Bridal, and her bridal bouquet made by Clara’s Flower Studio consisted of natural stemmed white roses, white freesias and lush green foliage. 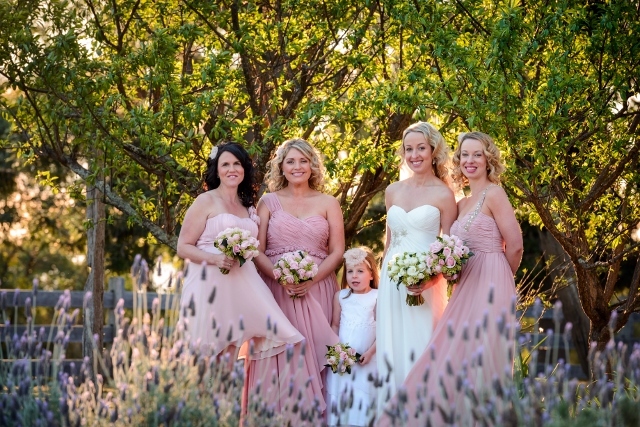 The wedding theme being elegant and colour scheme was white, silver and soft pink. "The whole day was wonderful and exciting….After all the preparations it was lovely to see it all come together beautifully on the day"
Paul and Alix met 12 years ago whilst out with friends, the two group of friends passed each other as they were leaving a venue, one caught the others eye, they started chatting and decided to head for more drinks, and the rest is history..
Paul and Alix got married on a splendid spring afternoon on the beautiful Biloela Lawn on Cockatoo Island. This was followed by the stunning reception in The Naval Store amidst the history of the amazing Island. Alix wore a beautiful wedding gown inspired by a dress she saw at the Oscars. The dress was made by Kerryanne Mirikles from Kerryanne Fashions. The Bridal Bouquet from Clara's Flower Studio consisted of freesias, Lissanthus, orchids in natural stem wrapped in silk ribbon. The day was celebrated with all their friends and family, with all the special moments captured by Adrian Hall. The cake was designed and made by Cake Fix and the two celebrated their wedding on their honeymoon in Hawaii. "Could not be happier with the flowers from Clara’s Flower Studio. I only had one wish – PURPLE. Clara went above and beyond to fulfil my wish of purple. The advice she gave me, the time she took to consult with me and her help on the day of setup was above and beyond what a typical Florist would do. There was nothing Clara would not have done to make my day special. The quality of the flowers were amazing, all my guests were commenting on them and there were even a few squabbles because everybody wanted to take them home"
Joseph and Vanessa met on RSPV, this was Vanessa's first person she went on a date with and the last. They go married on a beautiful September afternoon at Blessed John 23rd Catholic Church at Stanhope Gardens. The theme was set as a romantic spring wedding and how beautiful it was. Vanessa wore an elegant ivory 'Brides of Beecroft' wedding gown and a bridal bouquet from 'Clara's Flower Studio' which consisted on White Roses and Berries with foliage. The reception was at 'Crown Plaza Norwest' where Vanessa slipped into another beautiful gown by 'Smik' and danced the afternoon away. Vanessa's good friend 'Alison Rose' designed and made her wedding cake and Pierre Mardaga from 'PM Photo' captured every special moment. This special day was celebrated by Joseph and Vanessa's family and friends whom caught the moment that will never be forgotten by Vanessa which was "Walking into the church with my dad and seeing Joe waiting for me.."
beautiful and rustic chapel set in a paddock built in 1881. The beautiful cake was made by Bev from 'I Do Cakes' in Bowral and Bethany's dress was an 'Odette' style from Brides Desire by Wendy Sullivan, the colour was champagne. Nathan and Bethany spent their honeymoon at Port Douglas' Sea Temple for 10 Glorious nights. 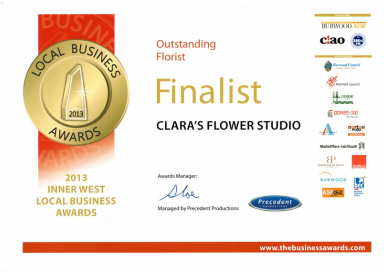 Clara's Flower Studio has become a finalist in this year's Inner West Local Business Awards, in the Florist Category. Clara's hard work, dedication and persistence has assisted in building a strong local business in her community. Award night will be at Canterbury-Hurlstone Park RSL on Wednesday 29th May and we're excited and anxious to see who will be the winner! Jason and Yilu met on an online forum where people from their city meet and talk about almost everything as well as life here in Sydney. 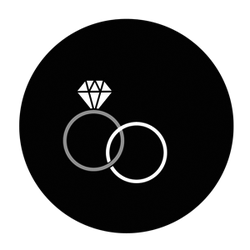 At the time Yilu was studying at UNSW and Jason at UTS where they began to study together and formed a great relationship. As both were from the same city in China they found it easy to communicate and shared the same common values and ideas. Jason and Yilu married on a glorious autumn afternoon in front of their family and friends at Chinese Christian Church at Milsons Point. The church was beautifully decorated with white Singapore orchids and natural tortured willow. Yilu's gown was from Gorgeous Gowns r Us at St Ives and her bouquet was natural stemmed dark red roses with a hint of vandella rose, bound with ivory ribbon. The bridesmaids bouquets were the reverse, natural stemmed vandella roses with a hint of dark red rose, bound with ivory ribbon. Jason and his groomsmen wore matching buttonholes of dark red and vandella roses with camellia leaf backing. 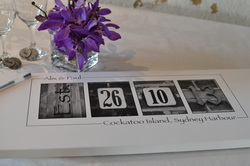 The wedding reception was at Doltone House Darling Island North Wharf, where the main table was decorated with dark red vander orchids and dark red spider orchids cascading down on a moss base. 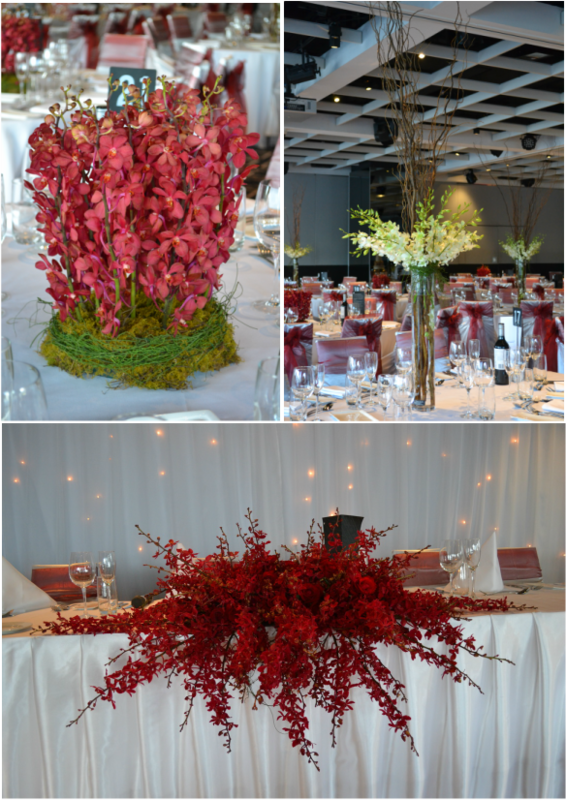 The guest tables had a combination of tall long glass vases with coloured tortured willow and white Singapore orchids with doddo vine at the top lip and, grouped mass of dark red vander orchids with a round moss base wrapped in doddo vine. Yilu finished the evening with a throw-away bouquet of dark red vander orchids bound with ivory ribbon. With no time for a Honeymoon, Jason and Yilu have spent their time preparing their new business 'Yogurberry' in Newton. church are still standing in my house, they add so much spirit to the room!! Thank you so much! Love you"
Wedding Flowers, Corporate Flowers, Events, Functions, Funerals, Everlast Bouquets, Birthdays, Anniversaries, Congratulations. Arrangements, Bouquets, Poises. Flowers for all your special occasions.